Computer troubles got you down? I can help. I do great work, at great rates, and your satisfaction is guaranteed. My rates are unbeatable and my work incomparable, and I work FAST, FAST, FAST. I'm well certified, friendly, and efficient. Most services and repairs won't cost you more than $50 and all work is discussed up front; no surprises! 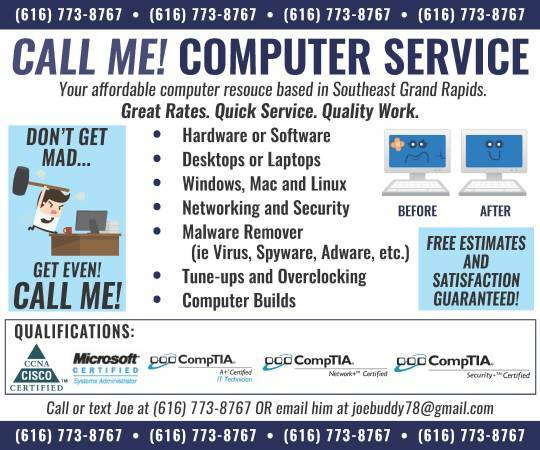 Call or text Joe at 616-773-8767 any time between 9am and 9pm or simply email me through the ad.